We are doing our part to try and spread the word about GMOs, (genetically modified organisms) but we’re not the only ones. Multiple public figures, scientists and researchers have been speaking out about GMOs for a number of years. For example, not long ago a former Canadian Government Scientist at Agriculture Canada, Dr. Thierry Vrain (one of many) spoke out against GMOs. Below, I’ve provided a video example of Suzuki explaining why he feels the way he does about GMOs. Public figures with a wide audience can have a great impact on the consciousness of the masses, they are great ‘tools’ for waking more people up to the reality that GMOs can be harmful to human health as well as the environment. It doesn’t seem to be much of a debate anymore, it’s clear that GMOs can indeed be harmful to human health. There is a reason why a majority of countries around the world have permanently banned GMOs, so what’s taking North America so long? One reason might be the fact that biotech corporations like Monsanto seem to be above the government and influence policy, but thankfully these things are changing. Big Island, Hawaii has recently banned all GMO products and bio-tech company products. Various bills calling for moratoria on GE food include Vermont, North Dakota, Boulder, Colorado, San Francisco and more. This large movement against GMOs is not based on belief, multiple researchers and scientists all around the world have shown that GMOs can be harmful. Here is a study that shows how Bt toxins found in Monsanto crops can be damaging to red blood cells, and potentially cause leukemia. Here is another one that shows how GMO animal feed caused severe stomach inflammation and enlarged uteri in pigs. There have been multiple studies linking GMOs to cancer, and a range of other diseases. Scientists all over the world have come together to show their support for the ban of GMOs. 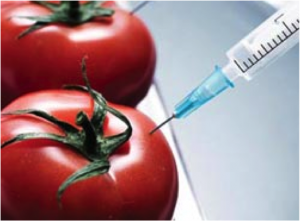 The FDA has said that genetically modified organisms are not much different from regular food, so they’ll be treated in the same way. The problem is this, geneticists follow the inheritance of genes, what biotechnology allows us to do is to take this organism, and move it horizontally into a totally unrelated species. 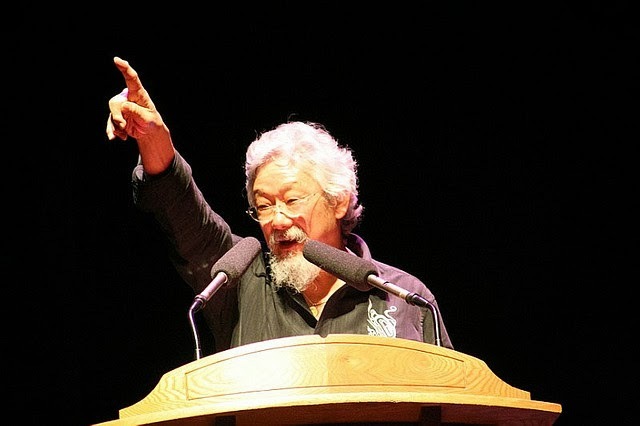 Now David Suzuki doesn’t normally mate with a carrot and exchange genes, what biotechnology allows us to do is to switch genes from one to the other without regard to the biological constraints. It’s very very bad science, we assume that the principals governing the inheritance of genes vertically, applies when you move genes laterally or horizontally. There’s absolutely no reason to make that conclusion.